For those woodworkers out there, having a good planer can be just about the best gift they can receive. Just ask people who have worked with wood and tried to order custom thickness boards for their project. Likely, they’ll tell you that it just didn’t work. So what better way than to take matters into your own hands! We decided to look at the planers in the market today and come up with the best ones. There are a lot and we did a lot of research as a result. Some fell flat and others soared to the top of our list. Here they are—the best planers available in the market today. 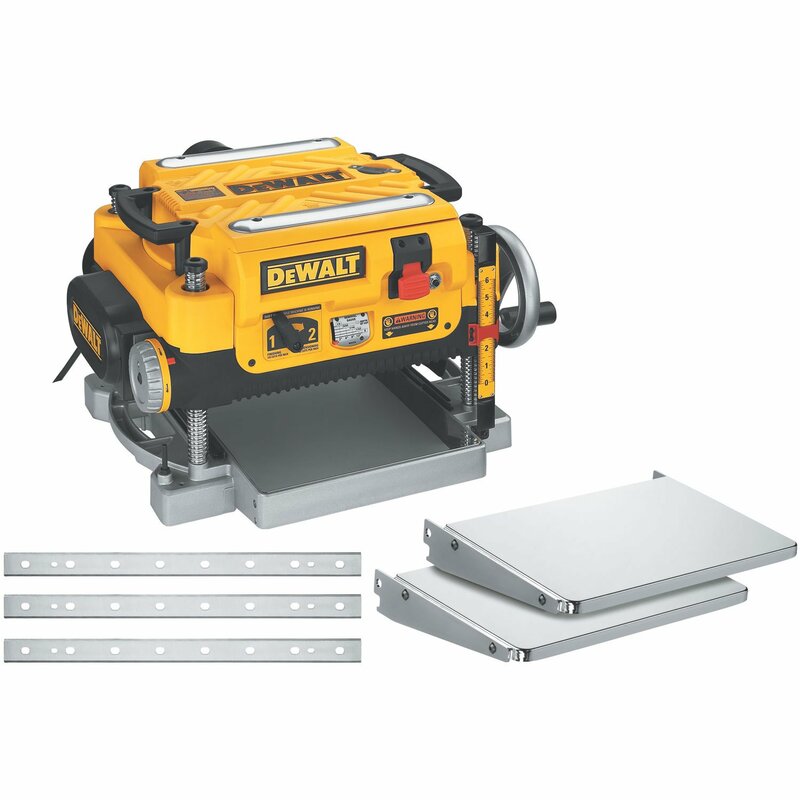 Coming in at number one is the Dewalt DW735X 13” Two-Speed planer package. We absolutely loved this machine because no matter what we put it through, it gave us exactly what we wanted. 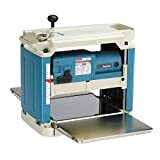 Any woodworker would love this planer because of how easy it makes his or her day. We first looked at the Dewalt DW735 and its power. Any project that requires a planer, requires a good motor that will last. This one definitely did not disappoint. It works with 15amps of power, 20,000RPM and can handle oversized boards easily. It has a 10,000RPM speed on the cutter head. You aren’t going to find many boards that can stand up to, or even give problems to this machine. The fact that it can manage wide cuts also is a huge advantage. If you’re a builder, this is a must-have. We tested it out with paper-thin layer removal and significant layers of wood removal—both were no problem. This is a particularly handy item if you are into custom furniture or millwork. It also can handle any type of soft or hard woods. Next, we looked at the user-friendliness of the Dewalt. No- we don’t expect an absolute newbie to be a pro in a few cuts, but a newbie with a 5-minute live tutorial or the manual can easily get acclimated to the machine. We loved its user-friendly style and that includes the settings you can use for thickness of wood desired. Once you get good at using it, you’ll likely save a lot of money because you can buy any rough lumber and tailor it to your project, rather than needing it cut down to specification by your lumber yard. We also took a look at the body of the Dewalt DW735. It is heavy- at 105-pounds- but that’s to be expected with a machine tasked with planing heavy rough wood. Its dimensions are 24-inches by 22-inches by 18-inches though, so it isn’t unmanageable by any means. That’s good news when trying to get it on-site for a job. You may need someone to help you haul it in, but once it’s stationed securely you likely won’t have any problems with working with it. Plus, as you put heavy boards through it, it won’t shift or move thanks to the solid and heavy base. The functionality on the Dewalt DW735 is great and this is what pushed it over the top to our number one pick. It has two-speeds and can handle 179-cuts-per-inch on one and 96-cuts-per-inch on the other. You can set it to remove 1/8-, 3/32-, 1/16-, or 1/32-inches from your wood. Wood can be at a width of 3-, 6-, 9- or 13-inches. It also has in-and out-feed tables to help steady wood as it moves through the machine. Included in the package is the planer, a dust ejecting chute, a dust-hose adaptor, an in- and out-feed table and an extra set of knives. We also liked that the Dewalt manufacturer stands so staunchly behind this machine that they offered a 3-year warranty. Yes, it is limited, but that is standard in the market today. The warranty does cover 1-full year of free service to replace worn parts due to normal use. It also has a free 3-year warranty to repair defects due to faulty workmanship. This is a great machine and we loved everything about it. If you’re a woodworker or you know someone who is, the Dewalt DW735 is a great tool to have. Not only does it make your life easier, but it will save money on cost of having wood planed elsewhere. 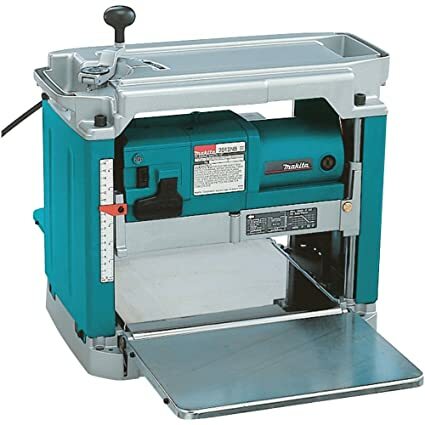 Our second place silver product is the Makita 2023NB 12-inch planer with Interna-Lok Automated Head Clamp. This is another stand out in the world of planers and you are likely going to love its functionality, speeds and size. The Makita we reviewed is also a powerful machine. It works with 15amps of power and a speed of 8500RPM. It has a 4-post design to the box, and additional cross-supports to stabilize it during use. There are table extensions on each end to support your wood as you move it through the machine. Its feed-rate is 28-feet/minute. The maximum thickness it can manage is 6 3/32-inches. What we really liked about this planer is its noise level. Somehow the manufacturer managed to put a lot of power into it, and still cut down on the noise. We measured the noise at just 83-decibels of sound. That is roughly the equivalent of a noisy hair-dryer. Considering that big equipment can produce way more sound than that, this one was welcomed exception. When it comes to ease of use, the Makita lightweight and compact. It uses disposable planer blades, so that helps with quick changes to keep the job rolling. It is one of the quickest machines when it comes to blade change, so we appreciated that feature. It also has an LED light to tell you when the machine is plugged in and connected to its power source. The manual controls adjust easily and are straightforward to read. Again- with a little practice a newbie to the world of planing can easily start using this machine. It has an in- and out-feed table to stabilize wood as it is planed. The Makita is also made lighter than competitors. At 62-pounds, it packs a lot of power efficiently into its case. The case is 19-inches by 30.4-inches by 15.8-inches. It is a much smaller machine but can handle planing easily. The best thing about this is that one strong person can easily move it to a worksite and then move it around if needed. It has two handles on each side that are sturdy and allow for a 1- or 2-man move. This was a nice feature to build right into the machine and makes it a standout in the market. There are a lot of good machines out there but they are just so bulky that transport is not possible. They were knocked off of our list because we search for overall performance. Being portable was a definite requirement due to the need for moving machines to various worksites. When it comes to the warranty, for the Makita lasts one year. If you aren’t satisfied with the machine, Makita will replace it within 30-days of purchase, or give you a refund. If anything does happen with the Makita for one year, you can return it to the factory freight prepaid and they will take care of it. Also, we liked the fact that the Makita has some helpful extras. On top of the planer, in the box you also will find a set of planer blades, wrenches, a tool box and two holders that are magnetic. They are built onto the machine so this is a convenient and easy feature that will help out any builder. You will be able to keep tools handy and attached right to the machine. No such thing as losing your wrenches with this helper. This was another nice feature that Makita included in the design of the box. We were delighted that they thought of it. Again- we are immediately taken by anything that truly makes our readers’ lives easier. We proudly include the Makita on our list of the best planers in the market. It easily earned its placement at number two on our list because of all it has to offer, its usability and its portability. 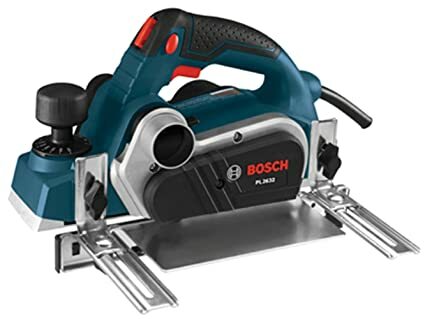 Rounding out our list for the top planers is the bronze third-place winner the Bosch PL2632K 3 ¼-inch Planer with Carrying Case. Though this planer isn’t as complete a package as our first and second planers, we still think it has a lot to offer and should be at the top of our list. The Bosch model planer is also very powerful. It works with a 6.5amp motor and at 16,500 RPM. It can easily work both with hard and soft woods. This is a planer that rides along the side of wood to plane, rather than having an in-table and out-table like our other top picks. Despite that, it still is a precision machine that can be very helpful on a worksite. There are a lot of extra features that make this a machine worth looking at. One of the biggest advantages of the Bosch is that it is highly user-friendly. This is definitely a machine we could see a newbie using effectively after an once-over of the manual. It was built with a lot of easy-to-use features. One we loved was the ambidextrous lock-off system. If you are using the machine you can lock it in the on-position and you also can lock it in the off-position. You can do this regardless of what side you are working on- left or right. There also is a special spring-loaded piece at the front that helps to protect the inner blades and gives the planer a resting spot to begin at. There are two aluminum steadying pieces –one at the front and one at the back—to ensure level planing as you move along the board you are working with. It has a comfort-grip handle so your hand won’t cramp, plus the lock-on helps because you won’t have to constantly depress it to get it to work. This is a highly advantageous feature if you have a bigger job and lots of wood to plane. The biggest advantage about this planer is its size and its ease of use. Bosch built-in a lot of small features that make it easier than ever to handle. Its tiny things like the special ball-power cord build into the base of the machine that really spoke to us as we reviewed it. With this power cord, you will never have a kinked cord to deal with because it easily swivels to whatever position you take. Another standout point of the Bosch is its size. It is just 14.5-pounds and its dimensions are 17.8-inches by 14.5-inches by 7.2-inches. You won’t have any problems with portability on this machine. It can easily be carried by one person to the worksite and transported just as simply. We liked the size a lot for smaller jobs, or for large pieces like doors to pass through for leveling. It works with a two-blade system to ensure that planing is even and doesn’t require a lot of human power to move along the side of the piece. It can handle high-speed blades also for more hefty jobs. The warranty for the Bosch is standard. The good thing though is that the machine has a great durability to it and is made to last long. Included in the package for the Bosch is a dual-mount guiding fence, 3-degree no-marring plastic overshoe that fits the fence, a bag to collect shavings, a blade wrench, a case to carry the planer and a straight no-mar plastic overshoe. Overall this is another great product in the world of planers and definitely stood out enough to us to make it to the number three slot. If you need an easily transported, user-friendly and powerful unit, the Bosch may be your perfect solution. After our placement of the top three, we still had one slot for the budget product. This is the product that isn’t as universal or powerful as the top picks, but still for its cost is worthy of promotion. In this case we chose the WEN 6530 6-Amp Electric Hand Planer, 3 ¼-inch, at 1/8-inch increments. We were happy with the precision of this machine and how well we could easily set it. The WEN 6530 works with a 6amp motor that provides 34,000 cpm. It has 16 different adjustments for cutting depth that ranges from 0 to 1/8-inches. What we liked about the WEN is its ease of adjusting. It has a knob at the front where you can easily adjust to the exact depth you need for cuts. Whether you need it to level off a door that is sticking, or a rabbet joint, this is the perfect tool. It has a lot of power in its light-weight design. Speaking of light-weight, the WEN is only 8-pounds. That means that you can take it just about anywhere with no issues whatsoever. It is useful enough and powerful enough to give you the results you need even at its compact size. This is a great tool for weekend carpenters, or people who are continuously on the go with work and don’t necessarily want to lug a huge 60+pound machine from worksite to worksite. It has a padded easy-grip handle to handle a bigger job without hurting your hand. It also has an elevated kickstand built in to protect both the wood you are working on and the machine’s blade. It comes with a two-year warranty on parts. Again- we loved companies that are willing to stand behind their products. WEN is definitely one. They also include a rabbeting guide, a dust bag for shavings, a parallel fence bracket and a kickstand. All of these tools are extras but definitely make the carpenter’s life easier. We liked the WEN because of how much it has to offer in such a small model. 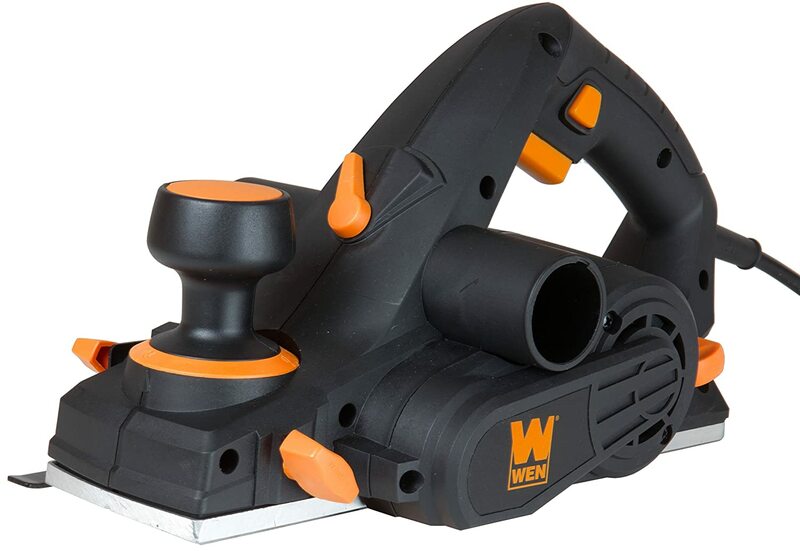 If you are in need of a small planer that is fantastically powerful and easy to use, the WEN 6530 may be perfect. It not only has enough power for just about any smaller hand-held job, but it also has enough features to get the job done quickly and efficiently. When looking at our planers, we had very specific criteria. As usual, we want only the best of the best when recommending products. The planers that made it to our top three, and bonus buy, spaces had to be powerful. We wanted machines that could handle just about any job easily. We also wanted machines that were easy to use. We didn’t want just the professional contractor to be able to handle our chosen few. We wanted fast speeds-per-cut. We also wanted portability. The warranty was a big plus and finally, inclusions were taken into consideration. We believe that to promote a product, it has to be “the whole package.” It has to really stand out in the market and offer a lot of features that help our readers make wise decisions. After much deliberation, here are the details on what we assessed and what we took into consideration. With any power tool we take motor/power into consideration. After all, this is what is going to get the job done. Without enough power, what’s the point? Our planers all had to have fantastic strength and motor power. We know that some workers will only need light power to do a few boards here and there throughout the year. We also know that some of our readers are professionals or do a lot of work at home and need a good planer to work reliably full-time. They may take it to the jobsite or they may set it up at a neighbor’s home. Regardless, it has to bring enough power with it to get the job done efficiently and correctly. We also looked at the cutter-head power. Again- we wanted a lot of power that would easily cut through any species of wood it was tasked with. Sure some people work with cedar, but some work with hard maple or white oak. A planer that can only handle some types of wood isn’t going to serve all of our reader’s needs. We wanted only the planers that could look at a hardwood and bite through it with no issues whatsoever. We also looked at the size, dimensions and weight of our planers. We wanted a lot of power, but we also wanted full portability. Sure, we knew that they would be heavier machines due to what they have to do. But that doesn’t mean manufacturers can’t build them for ease of transport. Things like special handles, carrying cases, and lighter weights were all taken into consideration. Again- we imagine the machines being used everywhere—from a far-off worksite to the basement. We needed machines that our readers would be able to load up on a truck and take anywhere. Or pick up and move anywhere. Size and weight definitely were major considerations. Thanks to technology, a lot of power can be built into a smaller size these days. Thankfully, we found four machines that fit the bill. Next, we looked at the speed of each machine. Lots of power is great. So is portability. But without the ability to cut quickly and efficiently, a planer loses its effectiveness. We wanted only the planers that were able to easily cut through wood. Again- all types of wood were tested. We wanted our recommended planers to be able to truly benefit any worker on the jobsite. Even a small project can call for lots of wood to be sized down to a specific number. That means that the planers we chose had to be efficient. Who wants to have to show up to a worksite early to prepare the wood? We wanted planers that could quickly handle loads of lumber and give accurate cuts every time. The in-table and out-table were also factored into the speed. Some of our planers had them built in, which was an added convenience. This way smooth entry and exit are assured during use. We wanted to make sure that as the boards were moving through the machine, they never were stalled by exit. We didn’t want a bump upon exit either, as this can be a dangerous situation. For each of our machines we looked at the warranties. We know that machines like these take a beating and likely aren’t going to last a lifetime. That’s acceptable, but we wanted to know that each manufacturer would stand behind their workmanship—no questions asked. We gave extra points to the companies that had extended warranties on parts. They stated in their contracts that they troubleshoot machines at their warehouses to ensure that they were in perfect working condition when they left. Because of this, they had no problem with standing behind them once the customer took them home. It’s confidence like this that we loved. Though it may sound trivial, we also looked at manufacturers who paid for freight if the machine had to come back and companies that offered a toll-free phone number. Call it a sign of goodwill, but we wanted the manufacturers that truly wanted the best for their customers—just like want the best for our readers. You may visit experthometools.com to know more about best oscillating tool. Again, when we do our assessments we always make it a point to look at the whole package. That means we look at all inclusions too. Manufacturers technically don’t have to include anything other than the machine itself. As long as it works great and gets the job done, they are off the hook. However, the companies that want to go above and beyond will include tools that make people’s lives easier. These are the manufacturers that we want to promote. They understand that a product is the most important thing along with its quality, but having extras can really set them apart. Small things like the ball-joint for a power cord that never crimps, or included carry cases, or special shut-offs for safety all make a difference when we are evaluating different products. They are a sign that the manufacturer really wants to bring something special to their product and to their customers. We take note and include a few points if they are able to come up with things that are out of the ordinary and really make a difference with use. Finally, we also looked at the ease of use of each one of the planers we reviewed. We understand that some users may be life-long contractors who apprenticed under the best. They likely won’t have a problem with a new machine or understanding how to work it. On the other hand though, we also know that we have the weekend carpenters who have to just get a job done. They don’t regularly use bigger equipment but need it. We always want to promote products that are useful to the greater pool of people—and not just those experienced workers who we all are jealous of. We looked at things like how comfortable the planers we tested were. How straightforward the manuals were. How difficult they were to operate. We only chose the machines that we were confident anyone could use with a little tutorial or manual review. We always seek after the universal appeal of machines, and planers were no different. In the end, we are very satisfied with our top picks. The Dewalt DW735X, the Makita 2012NB, the Bosch PL2632K and the WEN 6530 electric hand planer are all outstanding planers that we know will do the job they are needed for. Their power, ease of use, size, and speed will help any woodworker, contractor or hobbyist get the job done quickly, safely and efficiently.